CONFLICT PALM OIL IS DRIVING THIS INCREDIBLE ANIMAL TOWARDS EXTINCTION AT A RAPID AND TROUBLING PACE. 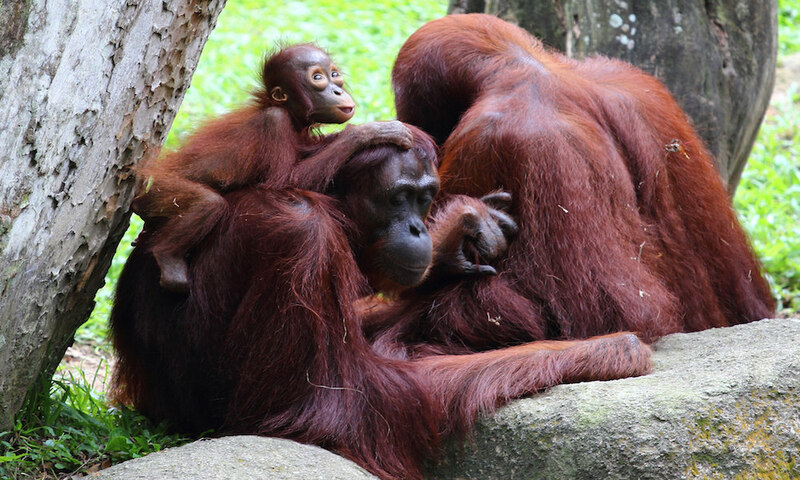 CHELSEA WITTLETON OF A NEW LEAF PROJECT INVESTIGATES THE REASONS BEHIND THE DIMINISHING POPULATION OF THE ORANGUTAN AND WHY THE PROBLEM NEEDS TO BE ADDRESSED NOW, BEFORE IT'S TOO LATE. 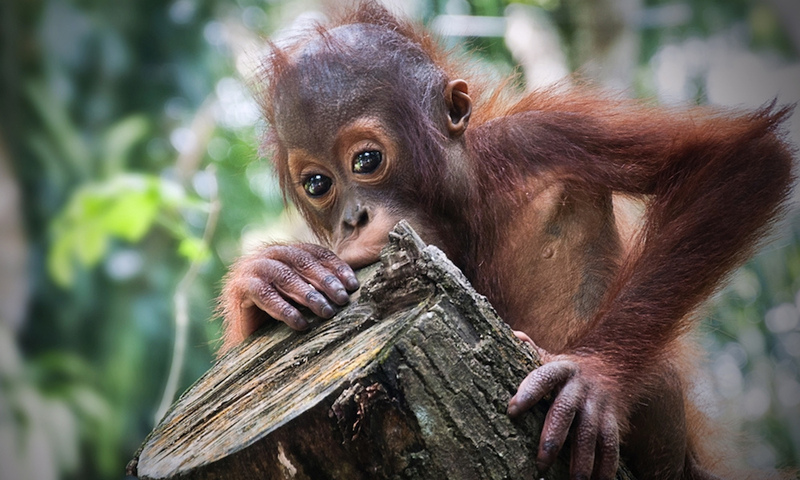 Have you ever gazed into the eyes of a baby orangutan? If not, I urge you to get on photo viewing website of choice and do it now. 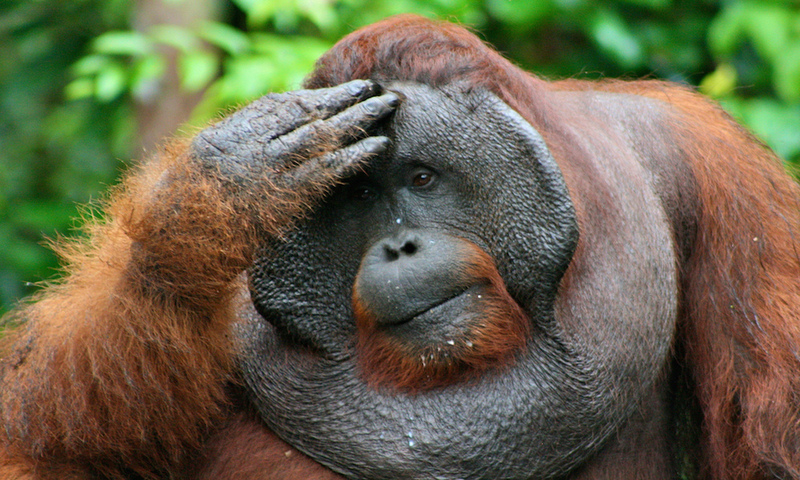 The sad thing is – within the next 5-10 years, the internet may be the only place the orangutan will exist. Orangutan populations have diminished by 50% in just 10 years, making them very much on the endangered list. Orangutans share 97% of their DNA in common with humans. However, it is humans that have become their biggest threat. 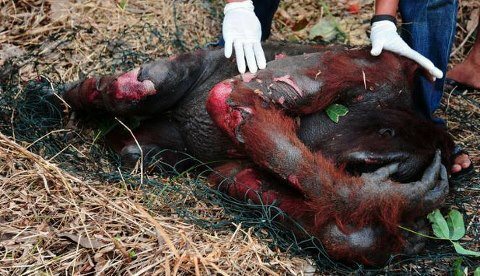 According to the World Wildlife Fund, 300 football field sized areas of land are cleared every hour to make way for palm oil plantations, killing at least 3000 Orangutans each year. It is this same slash-and-burn process of felling natural land that currently has Indonesia on the border of declaring the country in a state of emergency. The rapid land clearing is responsible for half a million cases of respiratory illness in South East Asia and has been labelled a crime against humanity, in fact this year's fires are producing more C02 output per day than major polluter, the United States. There is some hope, with centers such as the Sumatran Orangutan Conservation Programme and the Borneo Orangutan Survival Foundation's Nyaru Menteng Orangutan Rescue Center rescuing orangutans from deforestation and crimes delivered by plantation workers or from being poached for the illegal pet trade. These rescue centers offer virtual adoptions of orangutans in their care to ensure they receive everything they need before they can be released safely back into the forests. However, an intelligent, sentient being like the orangutan, the person of the forest as their name literally translates to, should have the right to a safe home in the first place. There is a crucial need for companies to be transparent in the labelling of palm oil, and for consumers to be aware of where the palm oil is coming from. Consumers need to demand responsibly sourced palm oil by choosing brands that support certified sustainable palm oil and by calling on state ministers to introduce mandatory labelling. Additionally, companies need to make commitments towards no deforestation and ethically sourced palm oil. So next time you think about opting for a product containing conflict palm, picture this little one, and think again. This November, 1 Million Women co-CEOs Nat and Tara and 13 other inspiring women will be venturing to the Sumatran jungle to experience the impacts of palm oil firsthand. Part of this journey will be trekking through Gunung Leuser National Park – the last sanctuary of the Sumatran orangutan, planting trees and visiting the Sumatran Orangutan Conservation Programme (SOCP) in Medan. You can meet the passionate Trek participants and donate to their fundraising pages here.